There’s been plenty of talk this summer about out-of-control budgets for movies with little chance of success. How could Disney expect to recoup an investment of more than $200 million on The Lone Ranger? Regardless of creative results, many films are falling short of expectations. This phenomenon is hardly isolated to huge movies. Misfires come in all shapes and sizes, and a prime example is 2011's The Big Year. 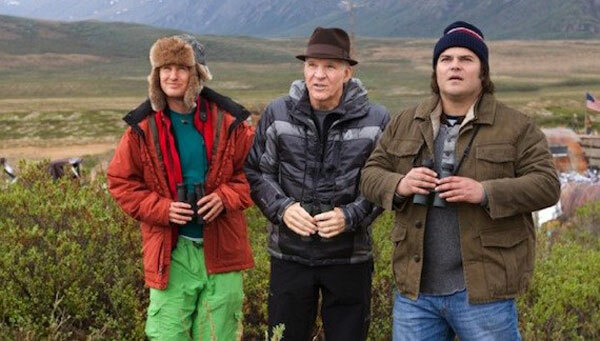 Who thought a movie about bird watching deserved a $41 million budget? It has star power, but that means little with such a niche pursuit. The result was limited box-office numbers that didn’t even reach 20 percent of the budget. What happened? How did likable stars who’ve succeeded in the past deliver such a dud? Thanks to Nick Powell’s “Not-So-Secret Santa Review Swap” at The Cinematic Katzenjammer, I’ve been tasked with finding the answer. While others received intriguing titles like Dogtooth and Wrong, I’ve been stranded on a remote island with Owen Wilson. Never one to turn away a challenge, I’m diving into to this messy production. With that in mind, I’ve chosen five lessons to explain the demise of this peculiar film. 5. If you’re going to focus on relationships, it helps to not dive into every tired cliché. 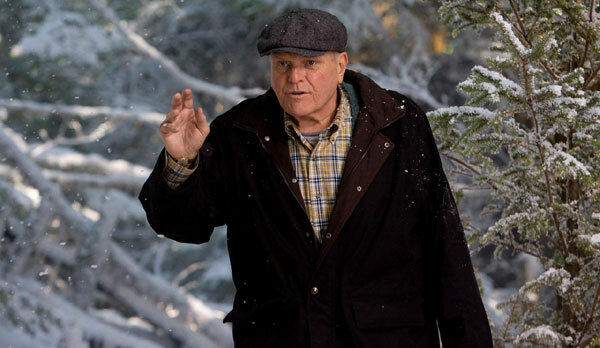 Brad Harris (Jack Black) is obsessed with birding, but his grumpy father (Brian Dennehy) wants him to get a real job. Stu Preissler (Steve Martin) is a successful business man, but he’s pushed back his real passion. Kenny Bostick (Owen Wilson) is obsessed with birding, but his wife Jessica (Rosamund Pike) just wants to have a baby. All of these have potential, but they take the simplest approach. The worst example is with Jessica, who’s forced into the unfortunate role of a woman who wants a baby. Pike makes her believable, but there are major limits in this familiar role. Dennehy is stuck playing the dad who doesn’t understand his son, and it’s no surprise when his perspective changes. He also has heart problems, but it’s a relief that Writer Howard Franklin doesn’t go all the way down that road. 4. Owen Wilson is a grating presence, even when he’s playing a jerk. The saving grace for Pike is that she’s alongside Owen Wilson, the master of big-time idiots. He showed promise with roles in Bottle Rocket and The Royal Tennenbaums, but Wes Anderson was just the right fit. In this film, we spend a lot of time with a stubborn guy. We might understand his passion, but Wilson plays him like a self-obsessed dummy who can’t see what’s right in front of him. I don’t hate his acting style, and it could work in the right part. Bostick just plays into the things that make him tough to watch. 3. Even likable actors can’t overcome a limited premise. Steve Martin is one of my favorite movie comedians, and I rarely dislike him. Jack Black isn’t that far behind and has a genuine presence. They’re both playing well-meaning guys, and the friendliness makes it easy to root for them. The issue is that they’re also not very interesting. It helps to have at least some bite, and there’s nothing from these guys. 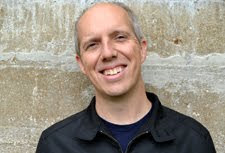 Brad is the main character, and Black does his best to make him the hero. He pines for Ellie (Rashida Jones) and brings such genuine happiness to the part. It’s easy to watch, but it’s also dull. Martin does well, but Stu gives him almost nothing to do. He channels the “wild and crazy guys” with one happy dance, but it’s mostly just sedate behavior. 2. Gentle, earnest comedy is a change of pace, but it’s also boring. Director David Frankel had success with the tougher comedy of The Devil Wears Prada, but he’s working in different territory this time. A few moments draw a smile, but there aren’t any big laughs. It’s so light that the comedy almost doesn’t exist. Watching birds dive bomb an unsuspecting newlywed is as far as it goes, and even that is sedate. There’s nothing wrong with avoiding gross-out humor, but that only works with engaging characters. The premise is the joke here, but it’s played so earnestly that it doesn’t seem that outlandish. 1. Watching guys looking at birds is not exciting. The Big Year isn’t a disaster, but that’s hardly a ringing endorsement. It’s light and mediocre fare that’s agreeable enough but also forgettable. There’s limited material from bird watching, and it really isn’t that funny. The hijinks are pretty minor, and it’s mostly just well-meaning people pursuing their passion. There are plenty of other hobbies that wouldn’t make great movies on their own. It takes a special creative mind to draw comedy from this story, and there isn’t enough ingenuity to stay engaging. It isn’t a train wreck but leaves almost no impression. When you consider all the talent involved, that’s quite a shame. I saw this film last year. Man, it was terrible. How in the hell did Steve Martin become so boring to watch? It's bad enough that he slummed himself into bad family movies and those godawful Pink Panther remakes but this was just bad. I like Jack Black but he wasn't fun to watch either. Owen Wilson is horrible in this and I didn't care about his goals at all because he's such a shithead. If I want to see a movie about birdwatching. I'd watch a Terrence Malick movie because at least he finds a way to put a bird in his movie. Werner Herzog would make a better film about birdwatching while creating some fun narration about the downsides of birds and birdwatching. I didn't mind Steve Martin, though his character is pretty dull. Owen Wilson's character is a problem because he's such a jerk. Can't really defend this movie. Its only saving grace is that Black and Martin are so genuine. Still, this also makes it extremely bland. Good points, Dan. But it's really not a terrible movie. It's just too safe for its own good and leaves you wanting more, especially given the talent. I agree that Black and Martin are enjoyable in the film, but their characters are so poorly written you can't really care for them. Had the roles been played by anyone else, this movie would have absolutely no heart to them. There's only so much magic that can happen when you go into something with the regular, every day charm of the heroes. You still have to build them up. I wouldn't call it terrible. I'd say it's very mediocre. It just sorts of sits on the screen and leaves not much of an impression. Black and Martin are still likable, but it's all them. Same thing for Rashida Jones' character. The story gives them nothing. Still, I'd say it's more of a two-star movie than a complete dud. But that's hardly a ringing endorsement. Thanks for setting up the Secret Santa event. I still need to check out all the reviews. Not terrible, just "very mediocre". That's feathering the nest. Very true. It's what I do! You really nailed my thoughts on this one. I (sort of) remember seeing it and thinking "I guess that wasn't all bad." But it washes away almost instantly. Hard to figure how anyone thought a birding movie as a good, profitable idea. That's the crazy thing for me. It's one thing to make a mediocre movie. But how they expected to make big money is another thing. I expect it has to do with Jack Black and Owen Wilson's drawing power.